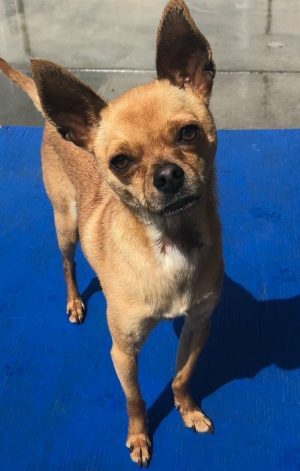 Walter is a 1 year old chihuahua mix. He’s good with dogs but really Ioves people. Good with kids 8yrs and up. Has not Been tested with cats. No special diet. A little shy at first but warms up quickly. Walks great on a leash, good in the car. Nacho is a cute little boy, and is very bonded to Sunshine. Here they are together, just a happy little married couple. They like to sunbathe, go for short walks, sit in your lap, and snuggle in a blanket together. They will entertain you forever. About 9 years old, and about 8 pounds each. *Need to be adopted together. 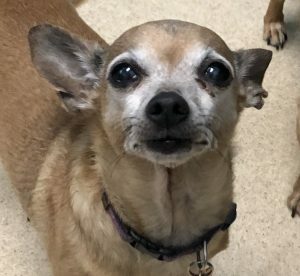 Sunshine is the sweetest little girl, 9 years old, and is very bonded to Nacho. 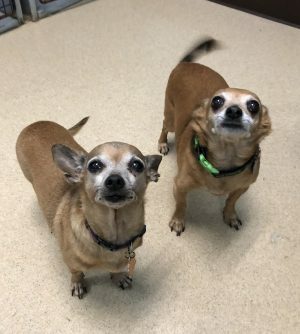 They are chihuahua mixes, and are about 9 years old. They are like a married couple, they love to sit on your lap, sunbathe, go on short walks and snuggle in blankets. They weigh about 8 pounds each. * Need to be adopted together!